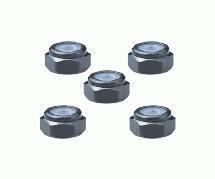 This is a pack of four 4mm Aluminum serrated wheel nuts by SQUARE R/C. 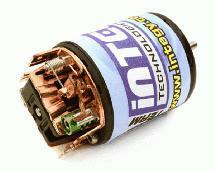 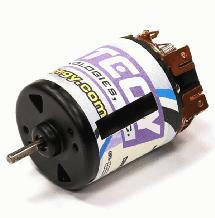 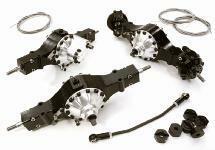 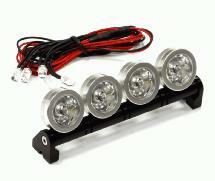 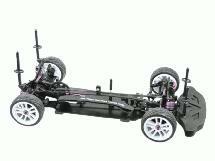 High serration for reliability and lightweight, for most vehicles that use an M4 wheel nut. 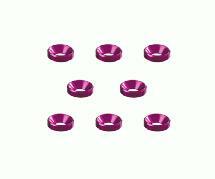 Square R/C M4 Aluminum Countersunk Washers, 10mm OD (Purple) 8 pcs. 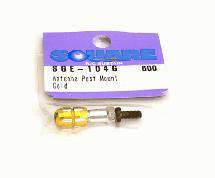 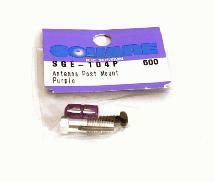 Square R/C 2mm Aluminum Lock Nuts (Purple) 5 pcs. 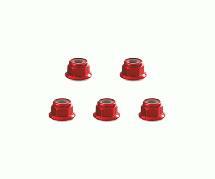 Square R/C 3mm Aluminum Lock Nuts, Flanged (Red) 5 pcs. 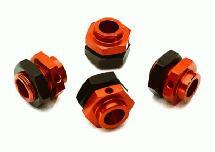 Square R/C 2mm Aluminum Lock Nuts (Black) 5 pcs. Square R/C M3 Aluminum Ball Stud Washers, 2.5mm Thick (Silver) 8 pcs. 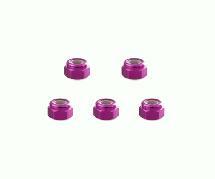 Square R/C 3mm Aluminum Lock Nuts (Purple) 5 pcs. 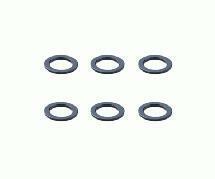 Square R/C M4 Aluminum Countersunk Washers, 10mm OD (Silver) 8 pcs. 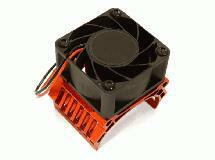 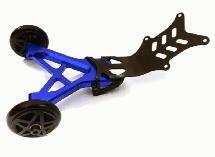 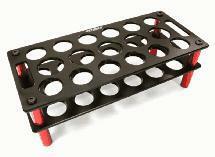 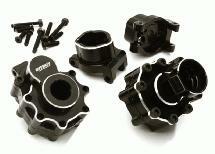 Square R/C Aluminum Collars, 6x4x0.5mm (Black) 6 pcs. 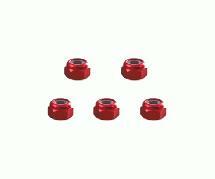 Square R/C 4mm Aluminum Lock Nuts, Flanged (Red) 5 pcs. Square R/C M3 Aluminum Countersunk Washers, 7mm OD (Gold) 8 pcs. 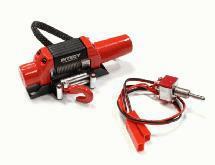 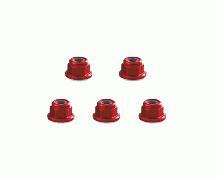 Square R/C 3mm Aluminum Lock Nuts (Red) 5 pcs. Square R/C 2mm Aluminum Lock Nuts, Thin-type (Light Blue) 5 pcs. 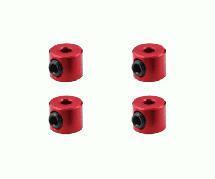 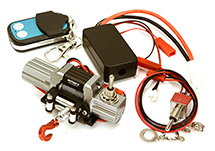 Square R/C 2mm Aluminum Linkage Stoppers (Red) 4 pcs. 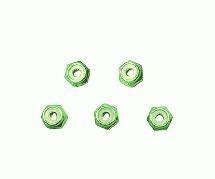 Square R/C 2mm Aluminum Lock Nuts, Thin-type (Green) 5 pcs. Square R/C M3 Aluminum Ball Stud Washers, 2.5mm Thick (Red) 8 pcs. 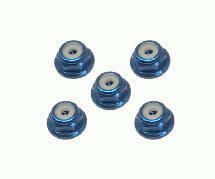 Square R/C 2mm Aluminum Lock Nuts, Flanged (Blue) 5 pcs. 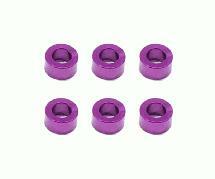 Square R/C M3 Aluminum Ball Stud Washers, 3.0mm Thick (Purple) 6 pcs.